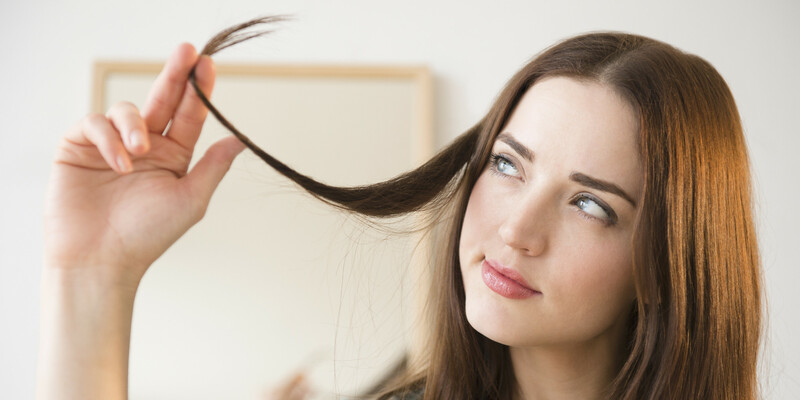 5 Things You Can Use Instead of a Dry Shampoo to Freshen Up Tresses! Not all of us carry a dry shampoo with us. If you are on a trip or outside your home without a dry shampoo and your hair are oily and limp, then you need to read this! Here are some easy alternatives to dry shampoo. 1. Powder – A baby powder works wonders! I have used this trick a million times. Whenever I run out of dry shampoo, I always use baby powder to freshen up my hair. Just make sure you take a little in your hand and run it through your scalp. Don’t just randomly throw tons of powder on the hair. Make sure you massage it into the hair so that the oil is gone and there is no white powder left on the hair. You can also use any other talc powder that you have at home. 2. Translucent powder – Yes, you read right. If you have a translucent powder without glitter particles, then you can use that. Just like you apply it to your T-zone, use a brush to run it through your roots. Make sure you don’t let it be just like that. Brush out excess once you think the oil is gone. I love this trick and since most of us always have those few touch-up items, I am sure you might have translucent powder with you. Using loose powder is preferred to pressed powder, but if you do think that your hair is getting oily again then you can use your pressed powder. 3. Paper towels or blotting paper – If you have oily skin, then you surely keep paper towels and blotting papers in your bag. You can use paper towel to remove excess oil from your roots by pressing it through your scalp. You might not get 100% results but you can remove oil from the problem areas quickly. Once this is done, use a blotting paper if you still have greasy hair. 4. Perfume/deodorant – If you have nothing in your bag from the above-mentioned things, then you can use some perfume. Just keep the bottle away and spritz some on your hair to get rid of the greasy appearance. Perfume has a lot of alcohol which helps in breaking down the oil in our hair and keeps it fresh too. Don’t use this trick too often else alcohol can dry out your tresses. 5. Hand sanitizer – I know this sounds weird but bad times call for weird tricks. Hand sanitizers too have alcohol in them which can help in breaking down oil from your hair. Make sure you take a little amount and massage it in your roots lightly. You don’t want to put too much sanitizer, so be gentle with it and take a small amount only. If you don’t have any of these things in your bag then tie up your hair as a last resort! We all love quick fixes but if you run out of your dry shampoo or need something urgently, then do try some of these tricks. I have tried all of the above-mentioned hacks and they did work for me.